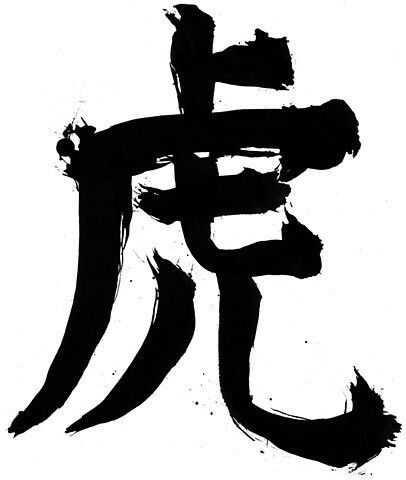 Kanji for 'tiger'. I wanted a splattery brush style. The kanji slots behind the portrait on the final cover. Iida-sensei was my calligraphy teacher in Japan.